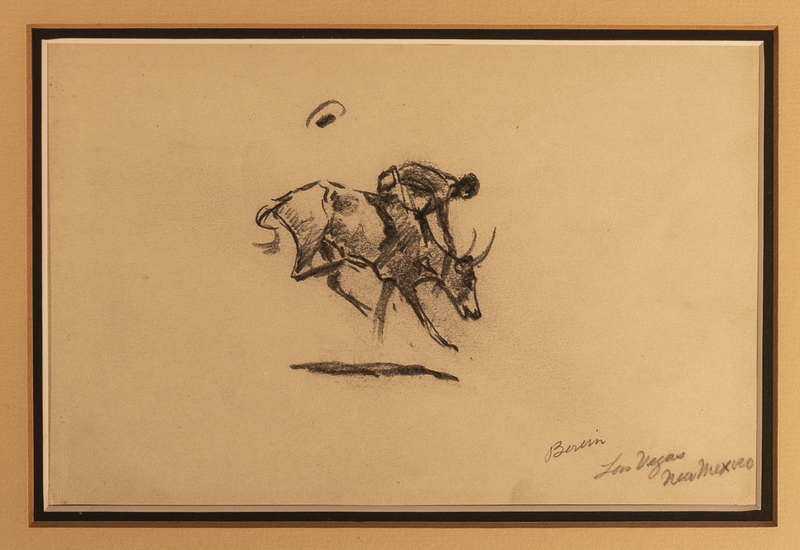 pencil signed Borein, Arizona ’17. 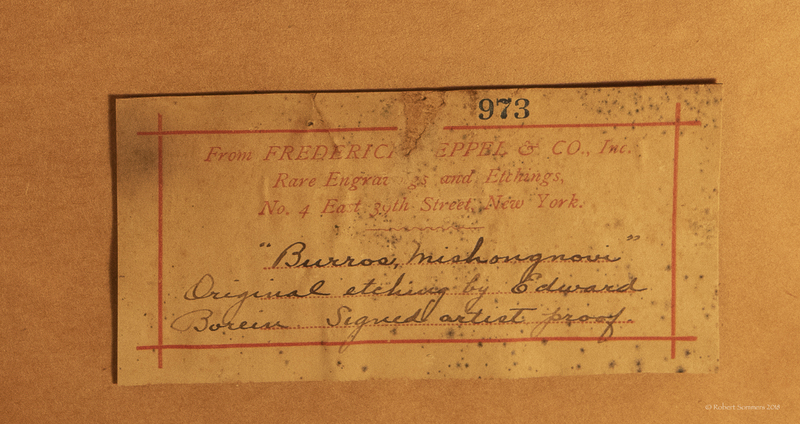 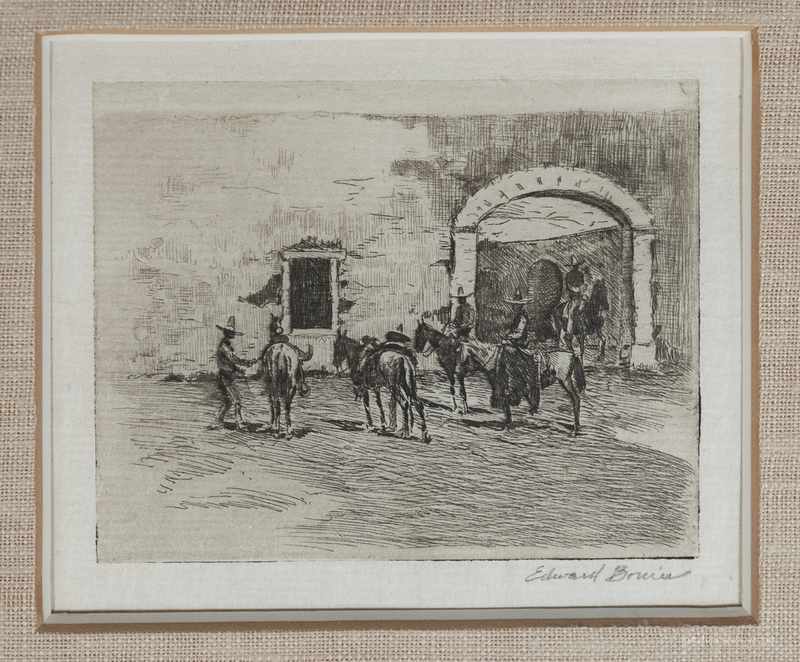 Edward Borein (1872-1945) was born in San Leandro, California. 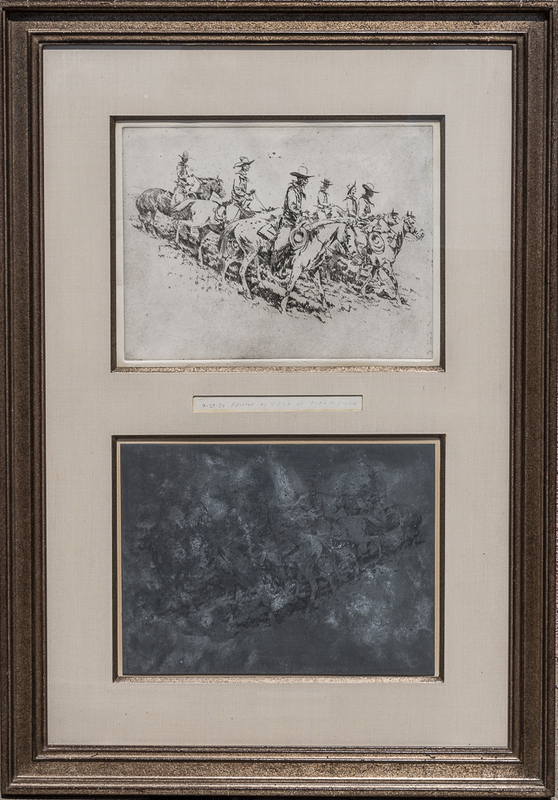 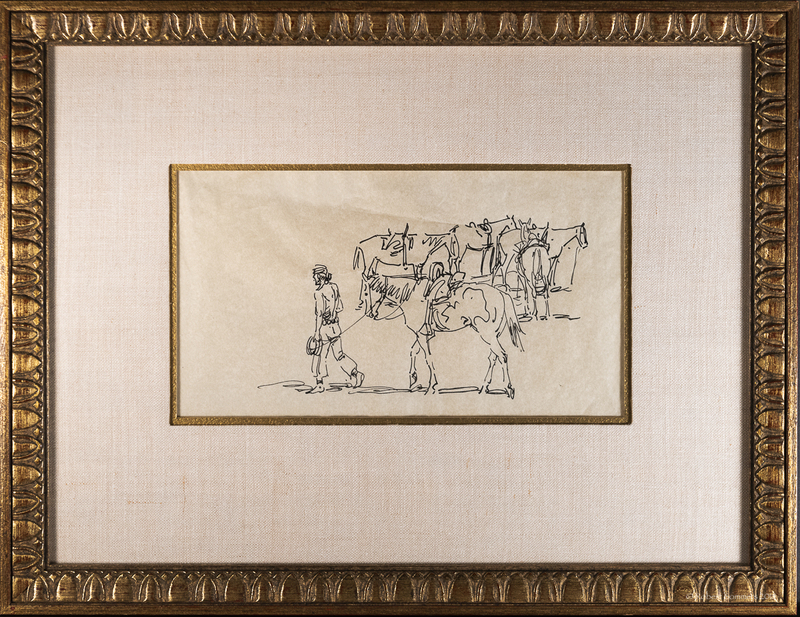 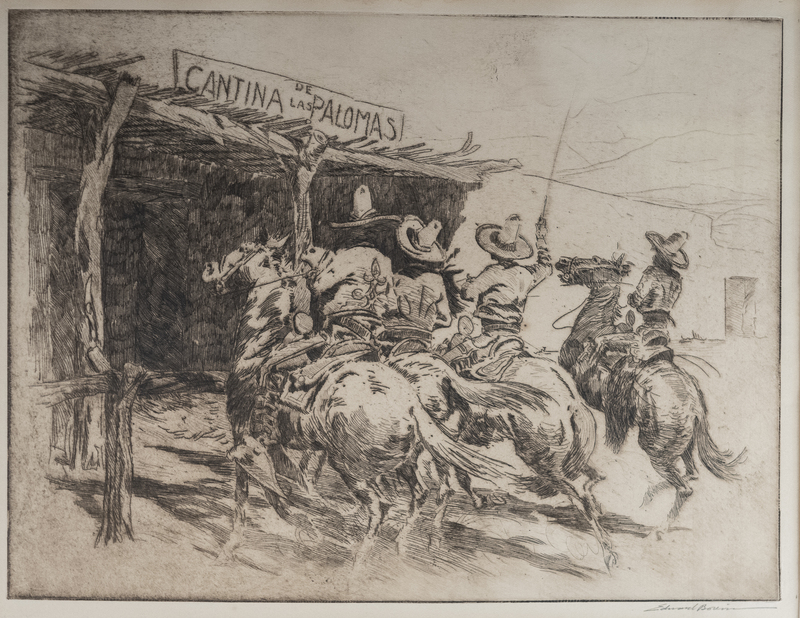 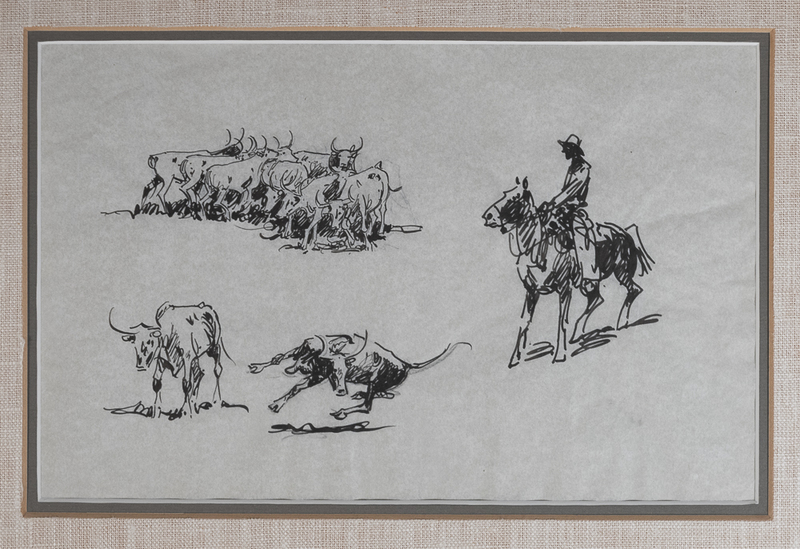 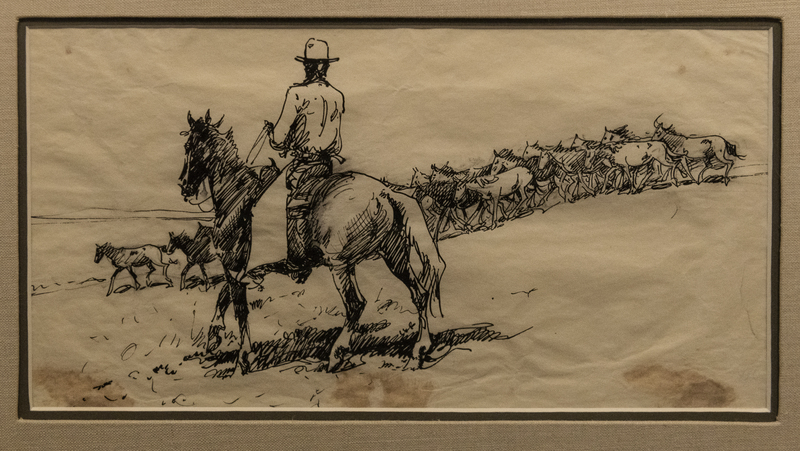 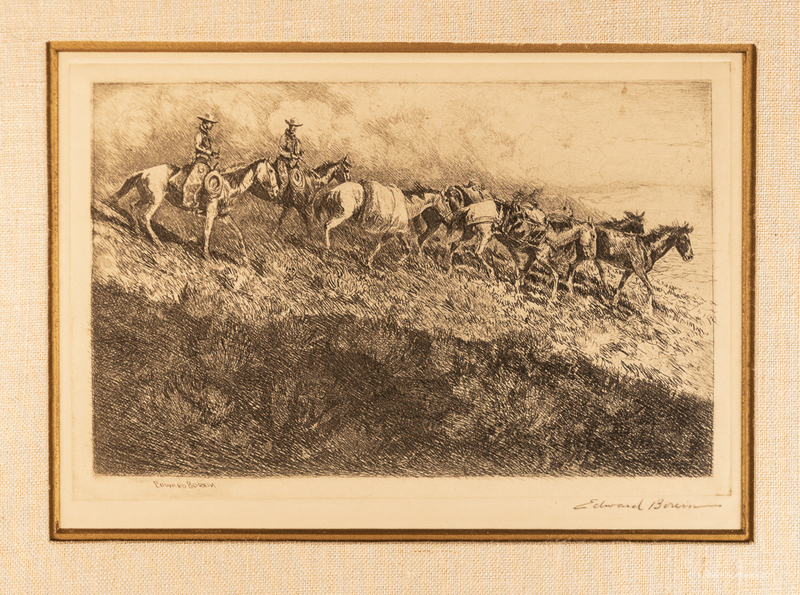 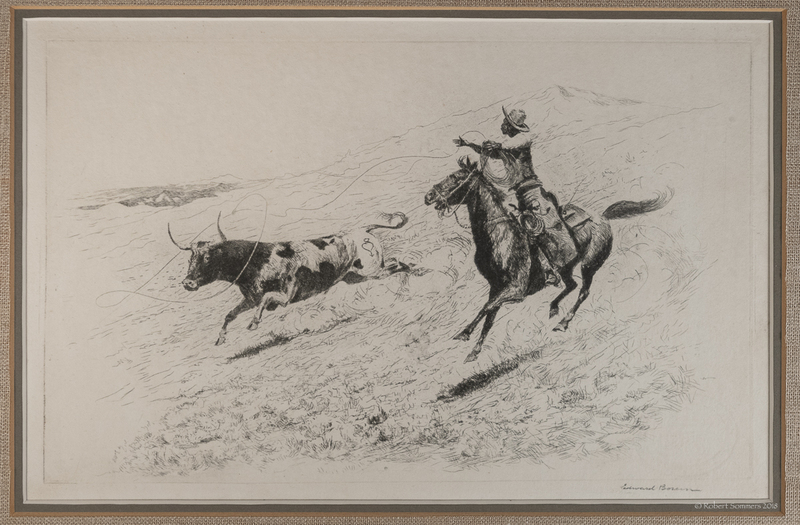 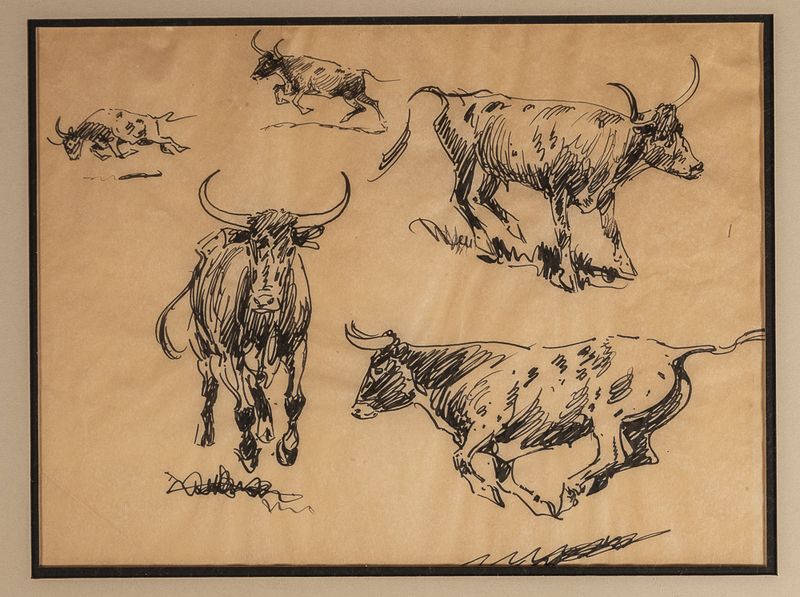 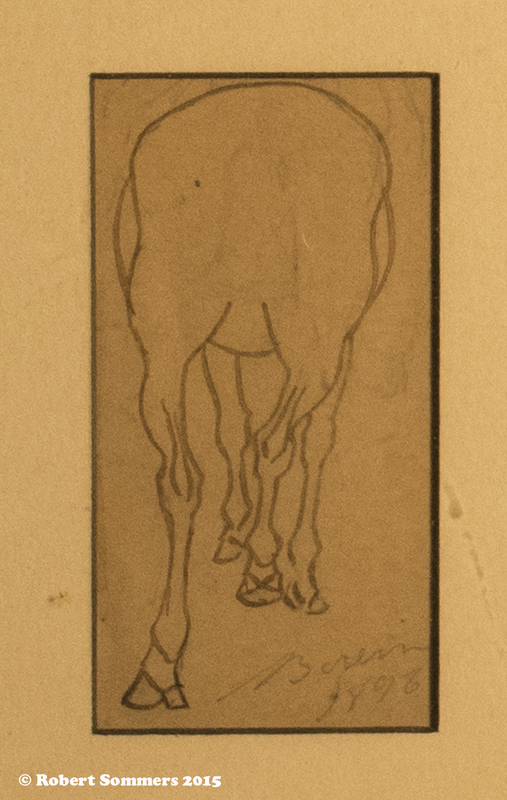 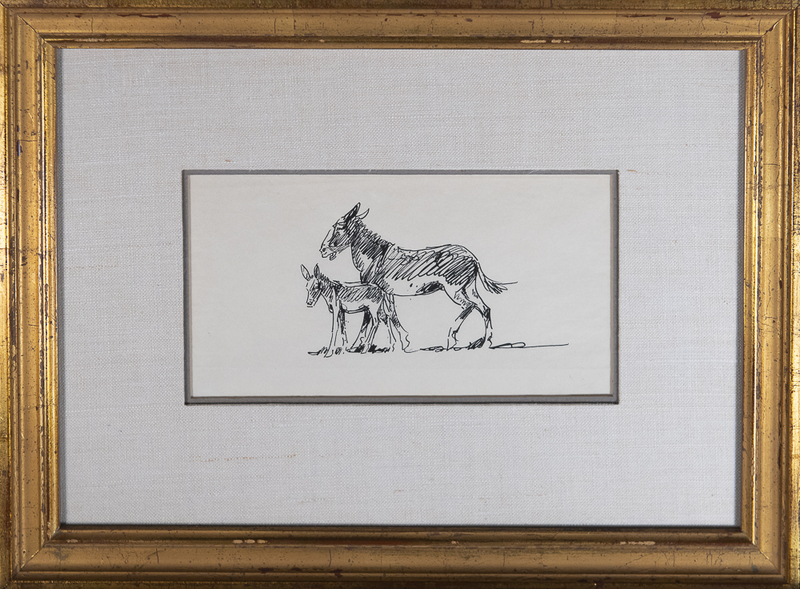 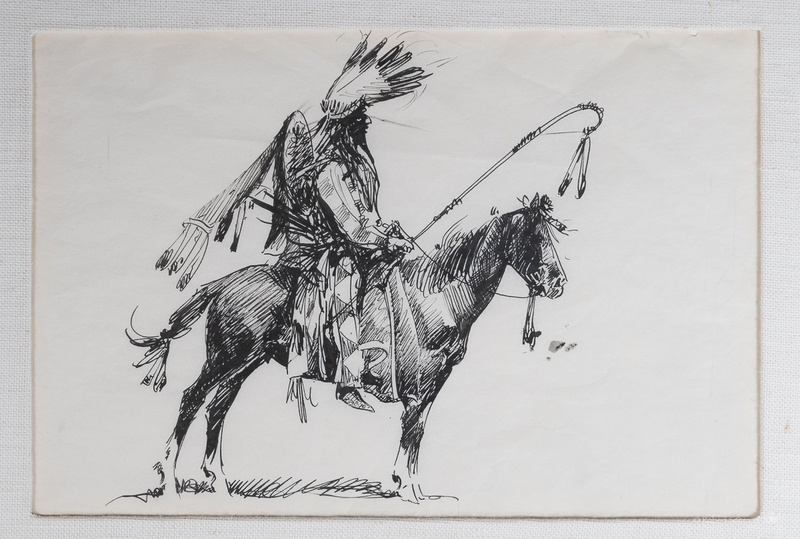 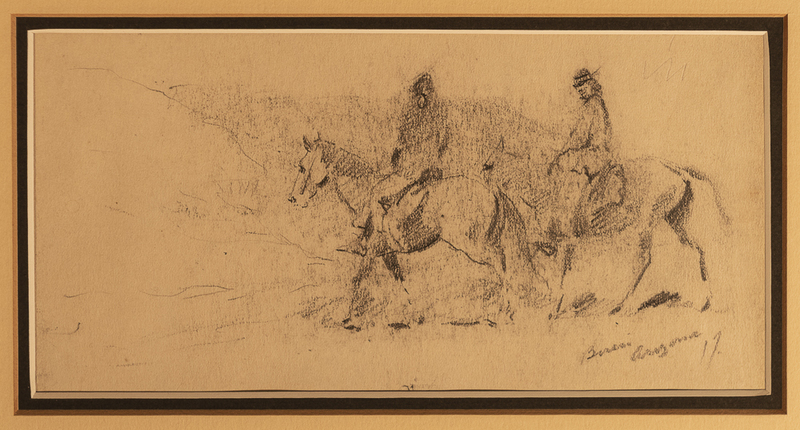 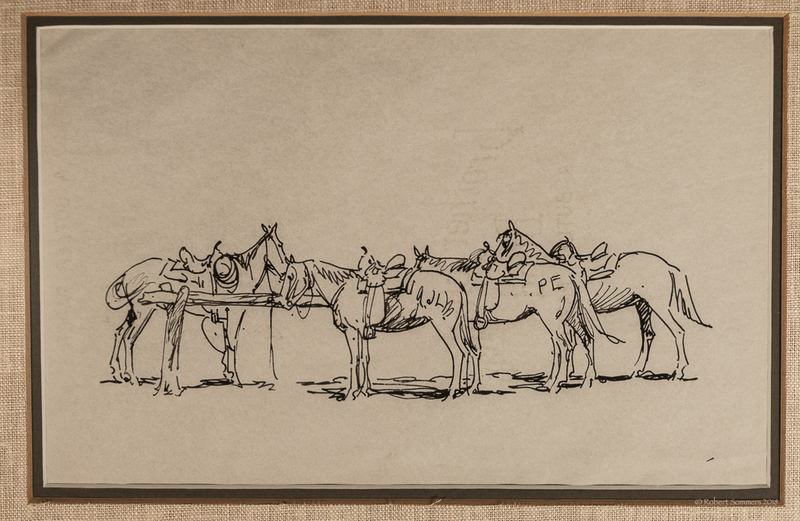 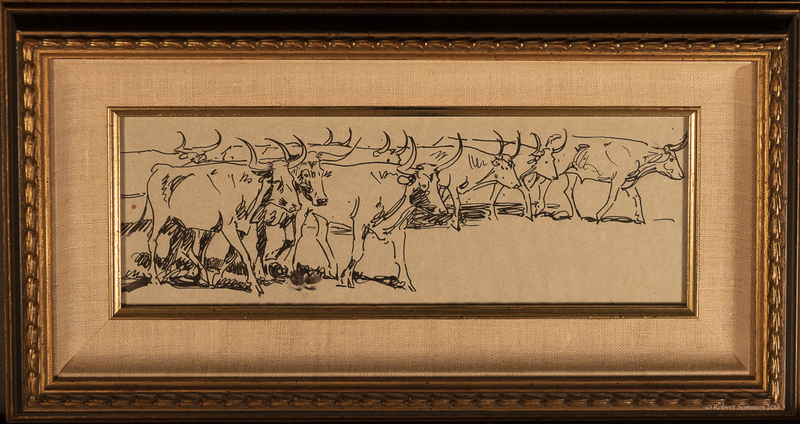 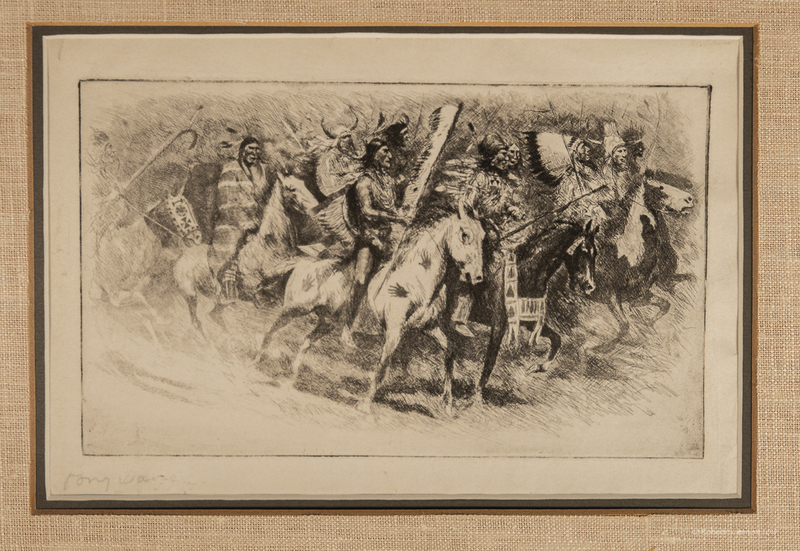 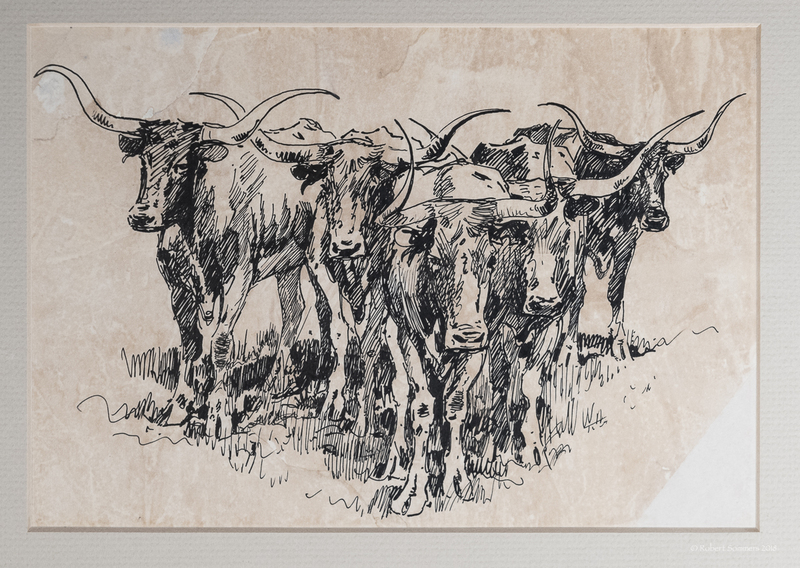 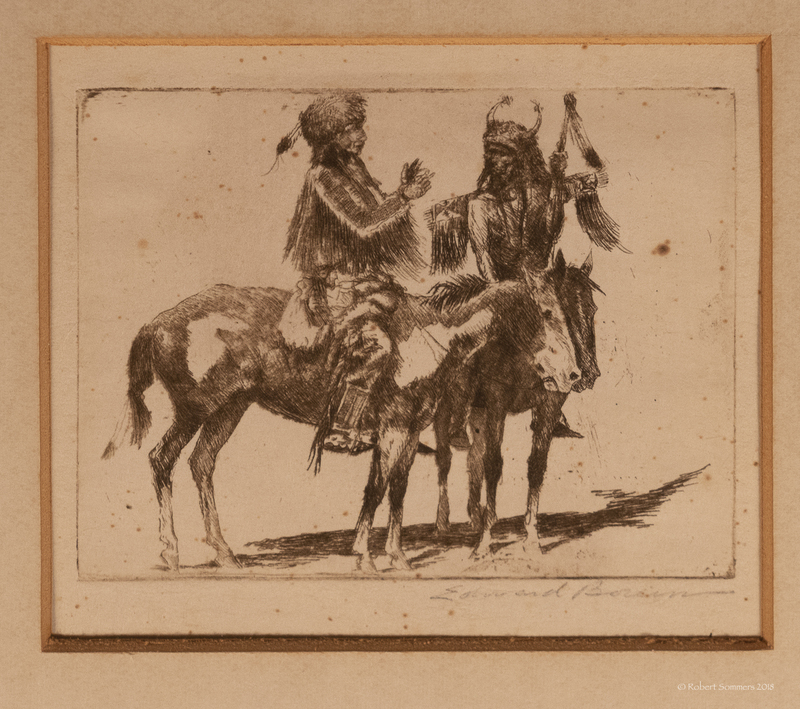 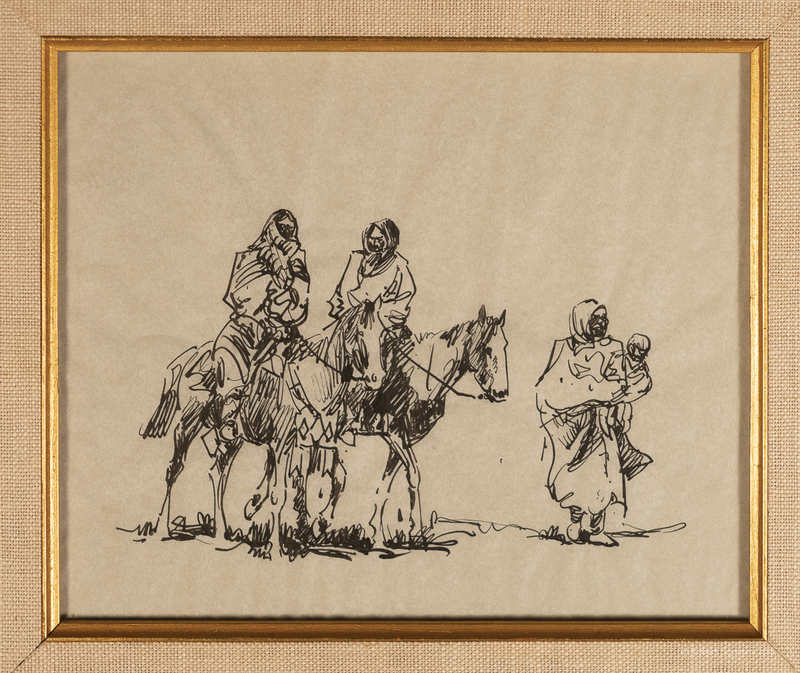 He began sketching horses, cowboys and steers at an very early age. 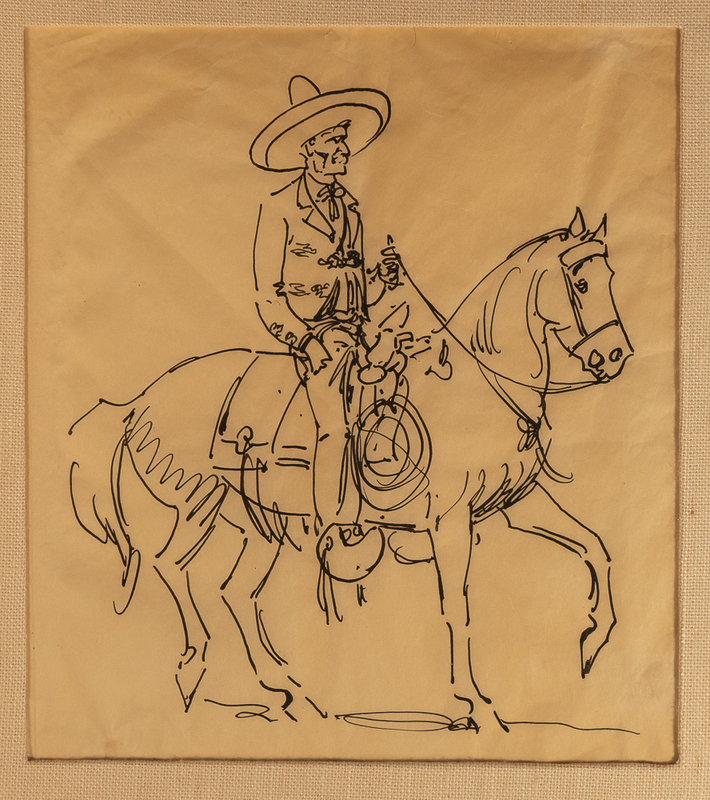 By the time he was seventeen, he achieved the main ambition of his youthful life and became a working cowboy drifting through most areas of the West, from Mexico to Montana. 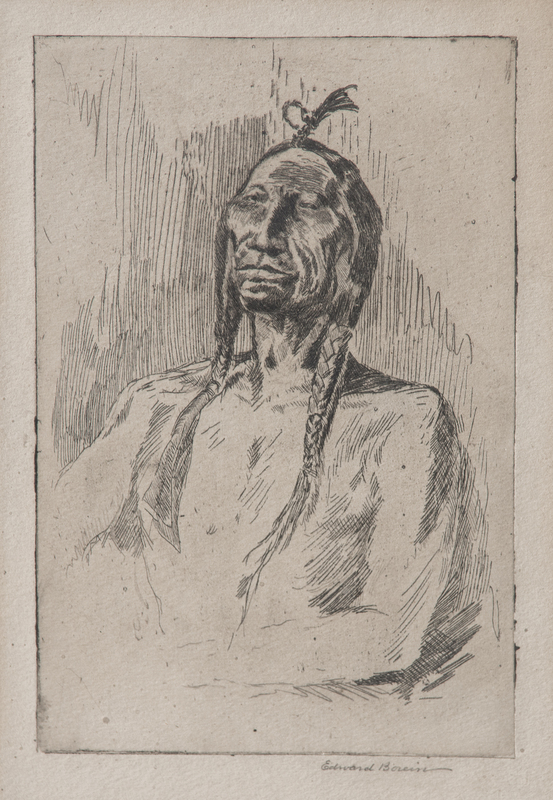 In 1907 Borein went to New York to learn etching techniques. 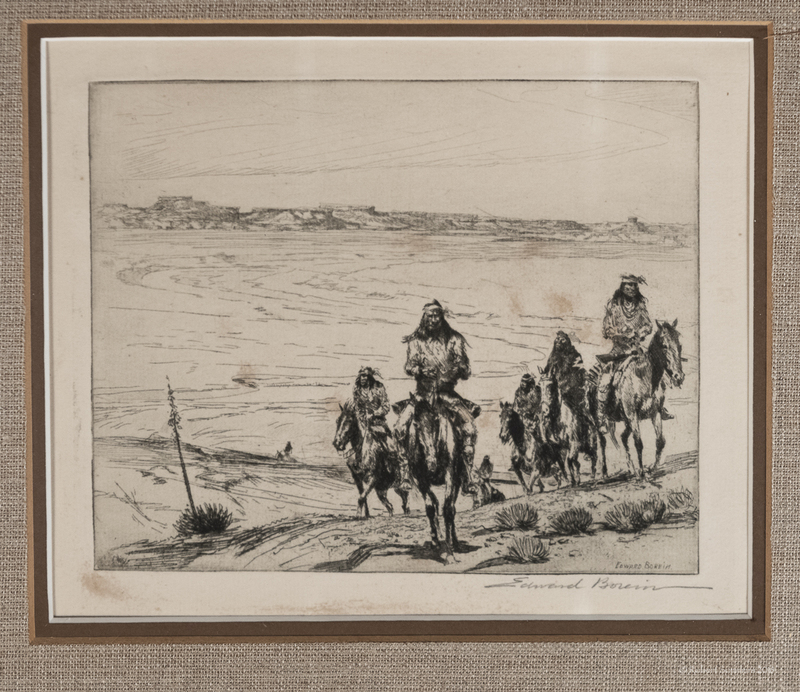 He opened a studio so typical of the West in its atmosphere that he soon attracted the companionship of other homesick Western artists working in the East at that time. 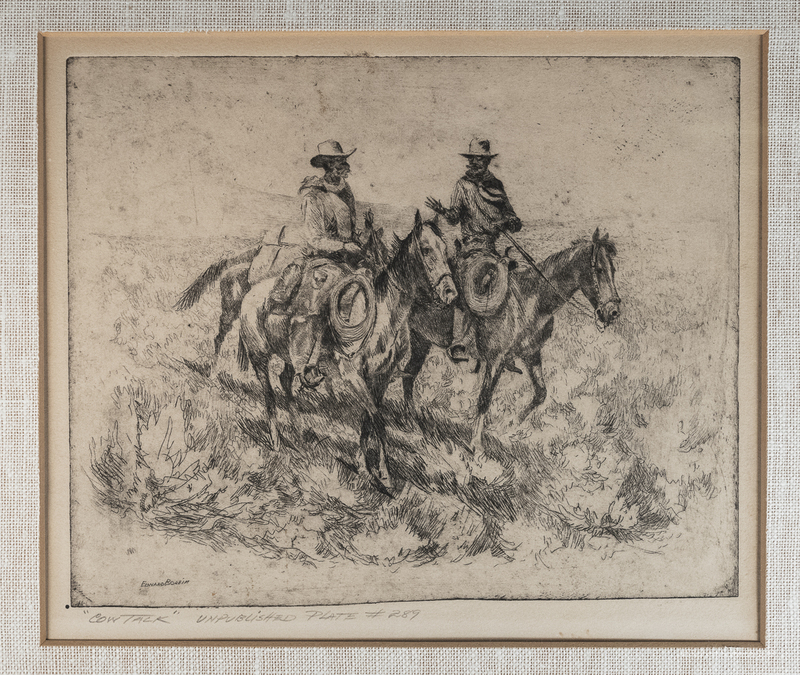 Charles Russell came to regard him as a brother. 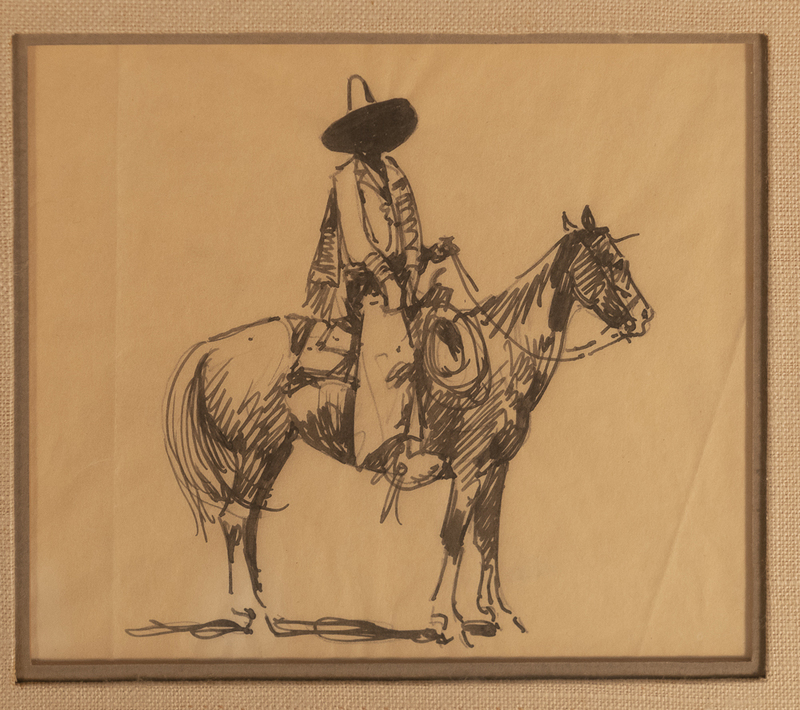 Borein was one of the most popular figures on the Western scene. 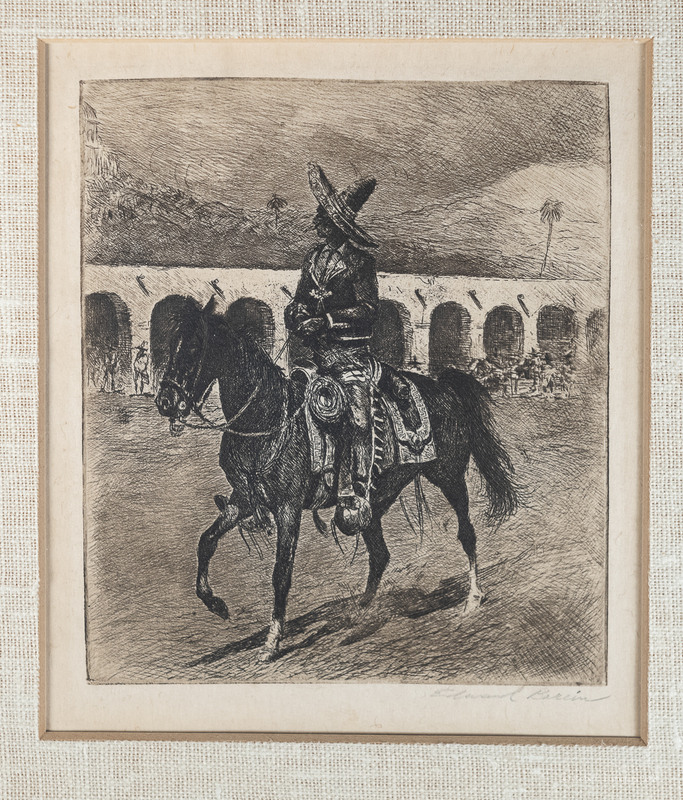 The fact that he became the intimate friend of such men as Will Rogers, President Theodore Roosevelt, Leo Carillo and others of equal prominence testifies to his attractive personality as well as his talent. 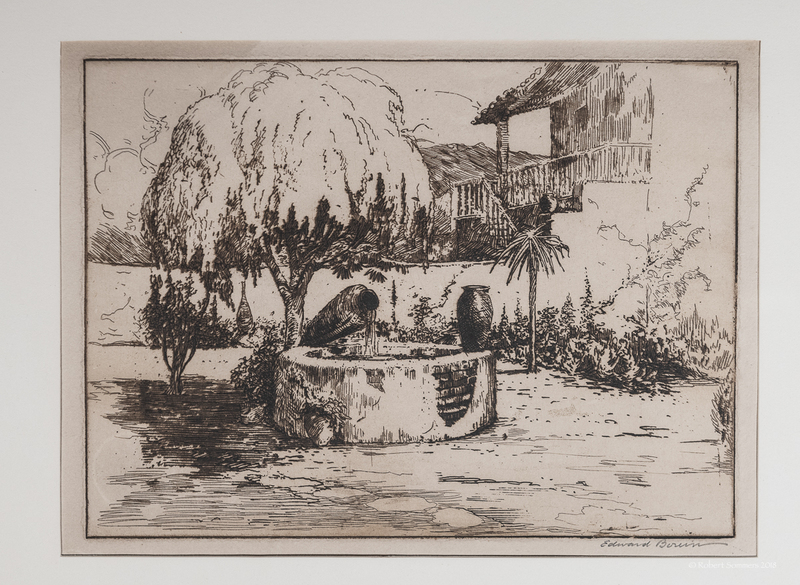 Feeling uncomfortable in New York City, and electing not to return to his more familiar Oakland surroundings, Borein took his new bride, Lucille Maxwell, to Santa Barbara in 1921 and established a studio there. 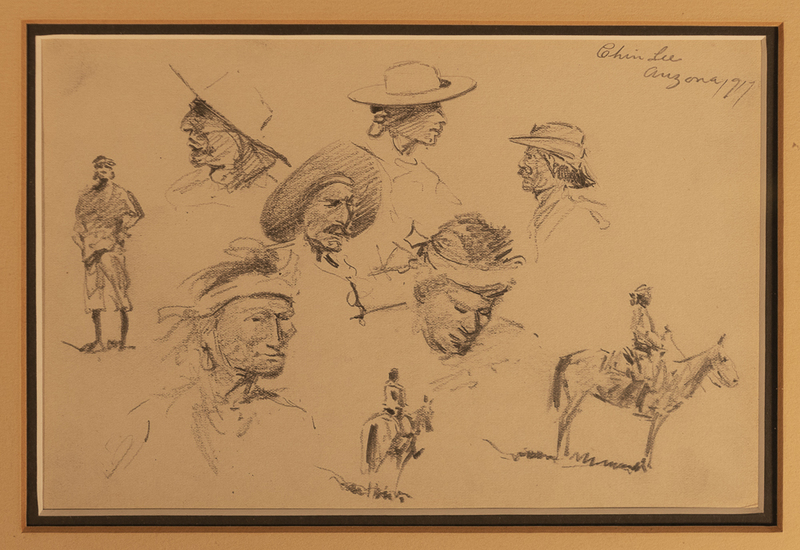 His old cronies and new friends found this studio a delightful place to gather.Watercolors, especially in his later life, was a favorite medium of Edward Borein. 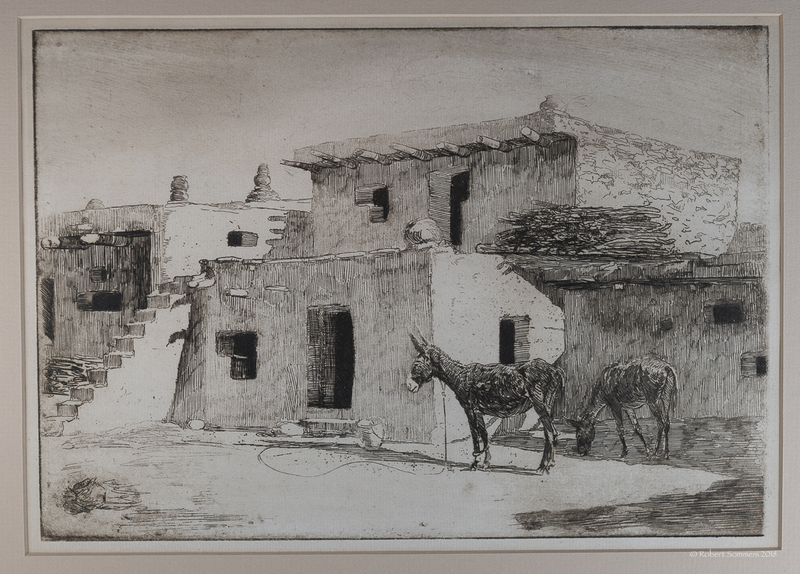 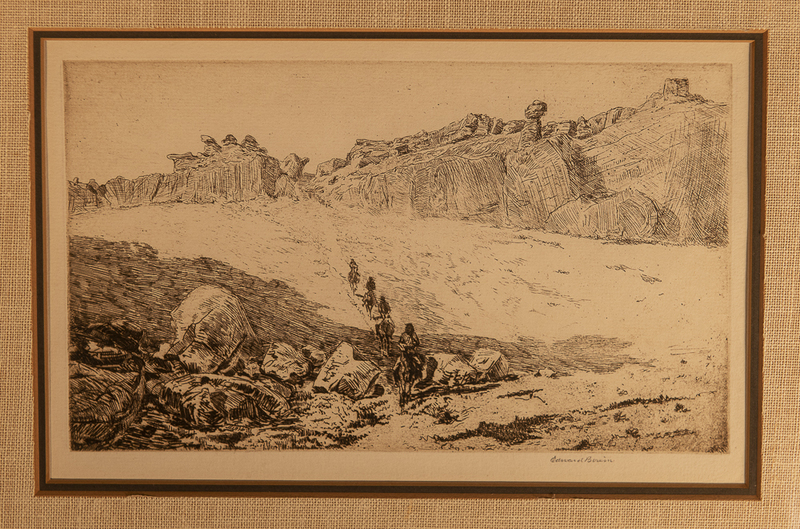 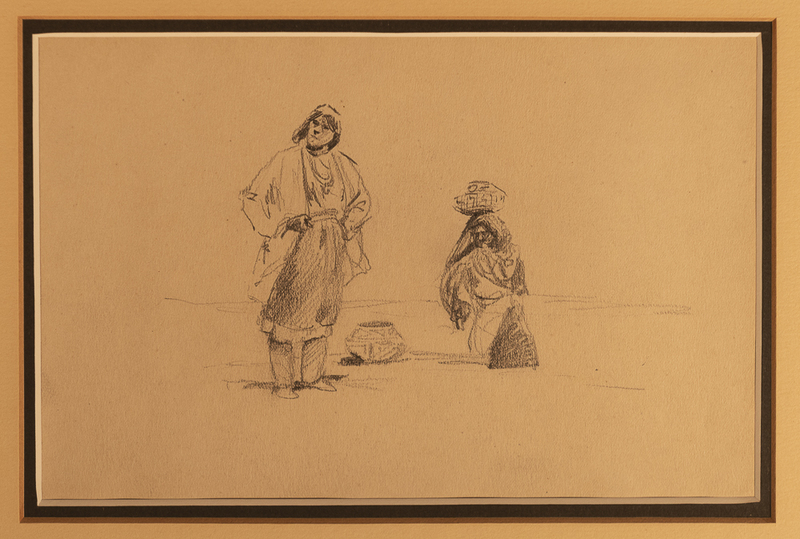 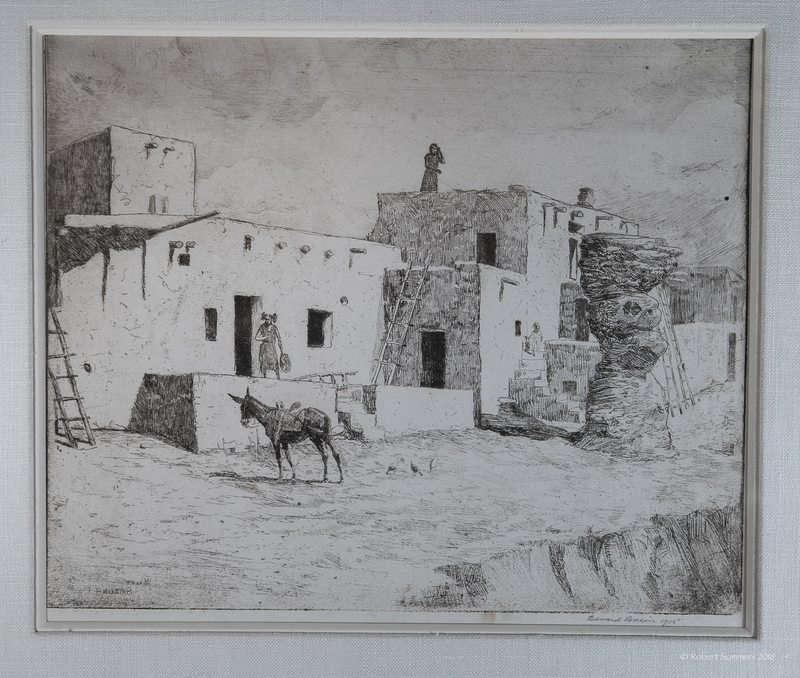 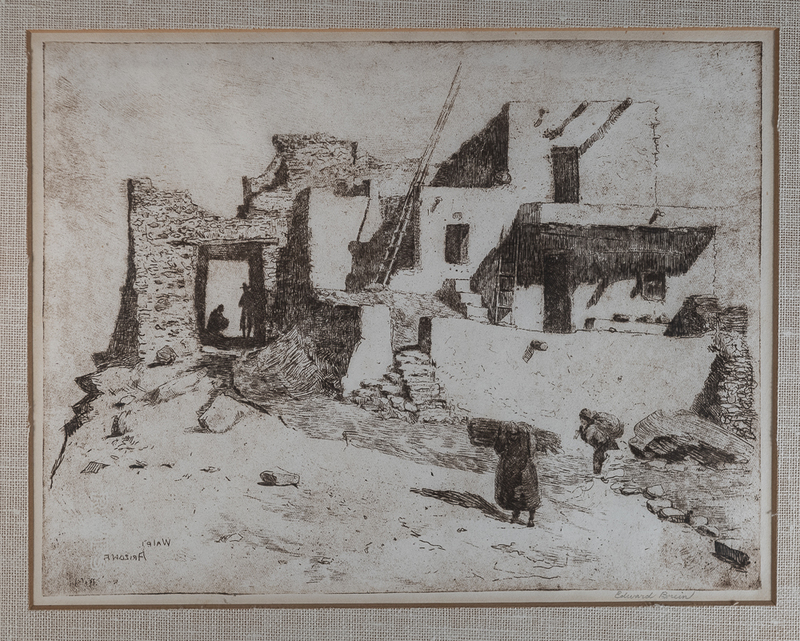 He was equally adept at pen-and-ink drawing, and his etchings were of such vigorous, realistic quality that no Western artist has surpassed him in this field.